Back when professional athletes competed in AAU, Little League and peewee leagues, many of them didn’t begin playing the position at which they are now seen as the epitome of excellence. The NBA’s Anthony Davis, now listed at nearly 7 feet tall, often played point guard before his college years. MLB’s Buster Posey, now one of baseball’s most talented catchers, developed his signature arm strength at shortstop. 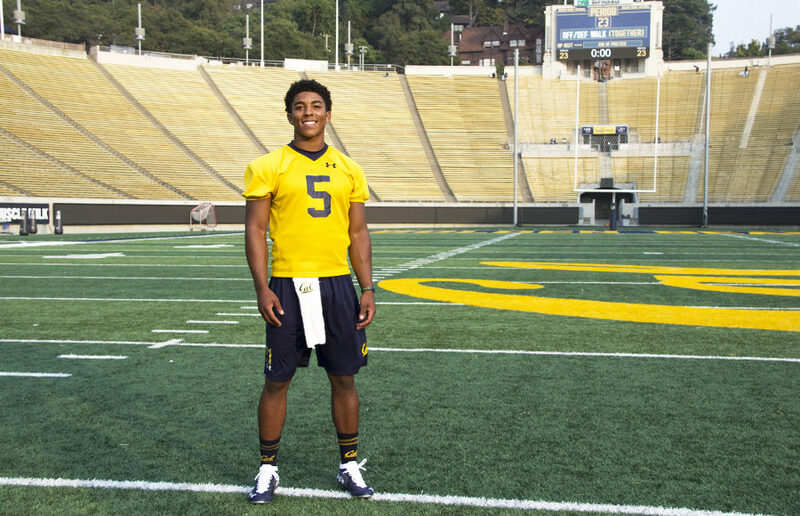 Cal quarterback Brandon McIlwain — known as “B-Mac” among his teammates — can relate, sort of. As a fourth-grader playing in a youth football league based in the East Bay, the now-redshirt sophomore was handed a seasonlong assignment that he won’t soon forget about. His position that year? Right guard. In his case, sometimes it takes playing the wrong position to figure out which one feels just right. It wasn’t long before McIlwain’s quick feet and slender frame moved him behind the bigger bodies on the line rather than beside them. The work that he has put in as a quarterback in between the hashes and as an outfielder on the baseball diamond has landed him at Cal after a year at South Carolina. While the journey to his dual-threat identity has featured unexpected bumps along the road, his faith continues to outrun his legs, comforting him as he enters his first full season in blue and gold. 2 Corinthians 5:17 states: “Therefore, if anyone is in Christ, the new creation has come: The old has gone, the new is here!” It’s a verse that McIlwain has adopted, whether it’s displayed in his Instagram bio or carried in his heart when he takes the field. McIlwain’s upbringing was rooted in faith, which persisted as he evolved into a budding talent with both speed and power at the forefront of his skills. His parents, Lena and Roddy, raised him and his two younger sisters with the hope that their leadership skills, cultivated through their devotion to scripture, would be extended to their various interests outside of the house. “I was the older brother, so I got to learn a lot about leadership and got to learn a lot from my parents, being the first child and all,” McIlwain says. Though his interest in sports came after his duties as the oldest sibling and as an astute learner in the classroom, it became clear that his future held promise under the bright lights. When his family relocated from San Ramon, California, to Newtown, Pennsylvania, in 2011, McIlwain was a curious eighth-grader with an unmatched love for competition. He made a decent first impression on his classmates when he earned the starting quarterback job on the varsity squad. As the new freshman sensation, he wowed crowds that came out to see both the football and baseball teams, earning his first athletic scholarship offer from Tennessee during those initial months. Ultimately, McIlwain committed to play both baseball and football at South Carolina, where he earned a handful of starts for the Gamecocks during his true freshman year. But after a full season, McIlwain decided to transfer back to the East Bay, the same environment that first introduced him to football. Only now, he’s no longer the right guard protecting the quarterback — he’s the play-caller under center, although he’s reminded daily that there are others calling the plays above him. McIlwain’s ambition to flourish and his unwavering faith have resulted in individual success. But beyond that, his father is especially proud of the way his son has looked out for others, too. 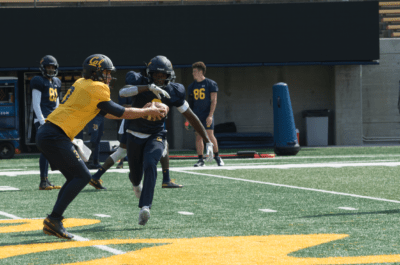 On the final day of fall camp, head coach Justin Wilcox pitted his offensive weapons against his defensive arsenal in a scrimmage to measure the progress each side had made leading up to the start of school. As was the case for most of camp, the quarterbacks donned gold jerseys, signaling that they were not to be touched by the defense should the pocket collapse. But deviating from the rest of the group, McIlwain busted out his blue practice top, blending in with the rest of the offense when he took his turn under center. Unlike the other quarterbacks, he was free to be tackled at game speed. With the versatility of a tailback and the toughness of a center, the coaches allowed him to run freely. As the Cal defense found out, bringing McIlwain to the turf has always proved to be difficult for would-be-tacklers. In split reps with the men in gold jerseys, the ambitious transfer gave his new teammates a glimpse into the layer of possibilities he brings to the offense. While his size doesn’t stand out, his legs are his equalizer — in just five rushing attempts, McIlwain rattled off 63 yards and two touchdown scores, including a 31-yard burst away from the defense. Just 30 minutes away from where he gutted out a season as a right guard 11 years ago, Cal’s new lurking variable is primed to step up when his number is called. The Bears’ playbook expands immensely with McIlwain in the fold, even if returning starter Ross Bowers is expected to take the majority of the snaps. 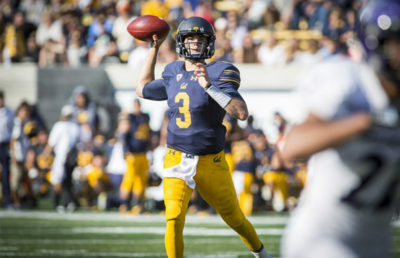 And at this point in his Cal career, McIlwain is OK with that — with his aspirations and reliance on faith, there’s no stopping his individual drive and commitment to improving those around him. 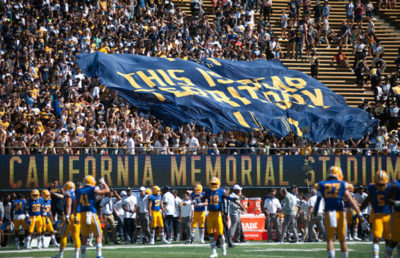 His goals for his remaining time at Cal remain steadfast — receive an opportunity to pursue a professional career in either football or baseball, whichever one comes calling first. His mom hopes that her son continues to be an example of what it means to be a team player, in whatever career God sets forth for him. As for his dad? “A law degree from Cal wouldn’t be too bad either,” Roddy says with a laugh.